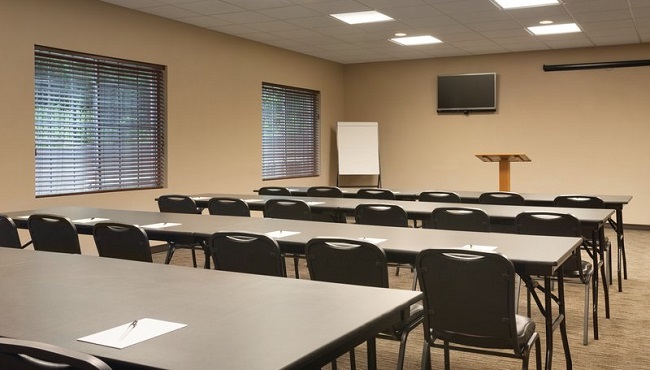 Whether you’re meeting with clients, conducting a training seminar or celebrating a milestone anniversary, the event space at the Country Inn & Suites, Goodlettsville, TN is a great choice. Located just off I-65, our hotel is convenient for visitors from all over, and with affordable accommodations on site, your guests don't have to drive home after a full day of meetings. In addition to tables and chairs, our 75-person meeting room offers free high-speed Internet access and a 50-inch LCD TV. Contact our friendly, professional staff today to inquire about group rates and to book your dates.